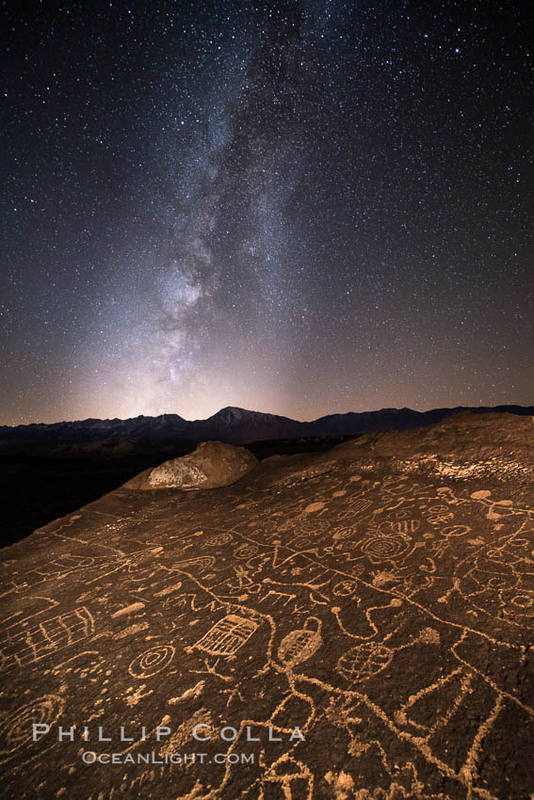 The Milky Way Galaxy rises in the night sky over the Sierra Nevada, with the Sky Rock Petroglyph panel in the foreground. I’m sure the original creator of this remarkable set of petroglyphs — considered by some to be the finest petroglyph panel in the world — had even darker skies than we do today and a much better view of the Milky Way, hundreds or thousands of years ago when he chiseled these strange shapes into the desert varnish of the volcanic tablelands. Cheers and thanks for looking!